Be royalty ready when wearing this off the shoulder ball gown wedding dress with a dramatic pleated skirt made from satin. 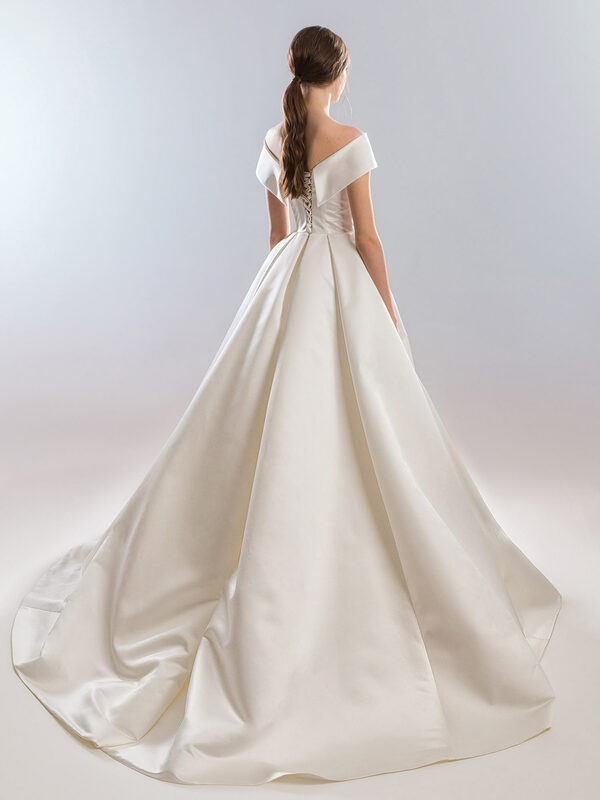 The dress features a gorgeous embroidered bodice with matching detail on the pleated skirt, which finishes in a ceremony train. The dress has a tie-up corset back to complete it.